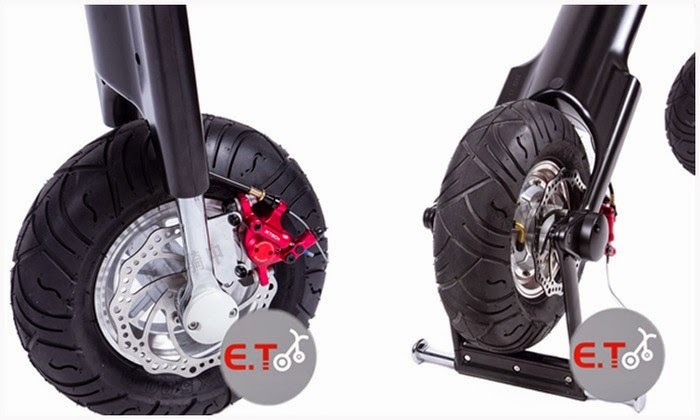 E.T, a Chinese company recently marketed an electric scooters which can be folded (folding scooter) for internal use and melee. 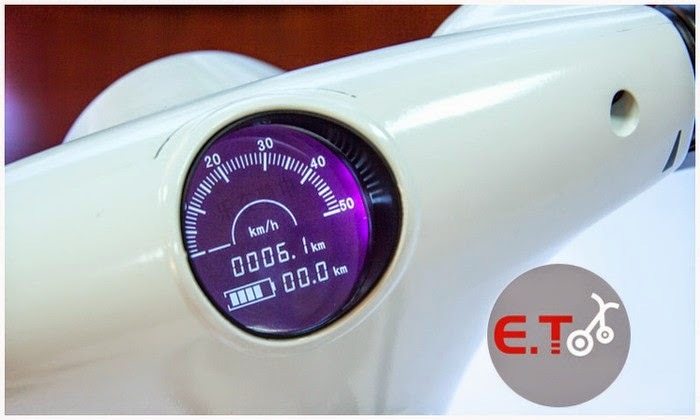 ET Scooter was already traveled around the world from one exhibition to another, until last appeared at the 2014 Intermot. The scooter design is very simple and neat. With a view consisting of a vertical pillar as the main axis of the wheel and handlebars, and supported by horizontal cantilever to the seat, and diagonally to the rear tire at a time act as supporting. Interestingly, this scooter can be folded when not in use. 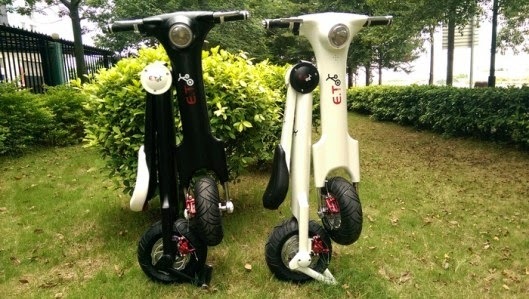 The scooter dimension was small and use tiny tires with a diameter of 12 inches greatly facilitate the folding process. Besides, the scooter is easy to be moved because of its weight only 30 kg (66 lbs). Manufacturer claim that this scooter can carry a passenger with the weighs five times the scooter weights. As a driving force, the company offers two power options. 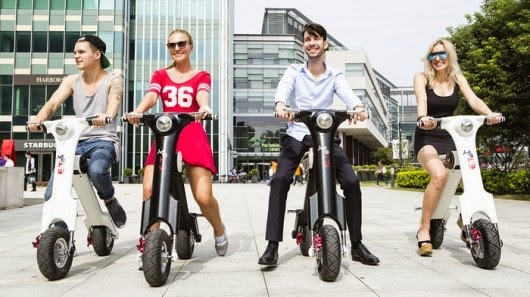 Initial choice is an electric motor with a power of 250 W, which can be upgraded up to 1,000 W. The maximum speed of these scooters can touch 70 kph, with a maximum distance that can be traveled is 35 km (22 miles). To recharge the battery only takes 3-4 hours.